I was recently asked by a colleague "What is the role of a Test Manager in agile?". This was my response. Test managers tend to be quite nervous about agile. As the focus of a testing team switches to collaboration on products and projects, rather than testing being an isolated phase or service, it may feel like the need for a test manager disappears. I think there is a place for Test Managers in agile, but that their responsibilities and scope may look quite different to in a waterfall environment. Because testers should be communicating their progress directly within their project teams, providing their estimates as part of an agile methodology and using just-in-time test planning, there is no need for a Test Manager who acts as an intermediary or overseer at a project level. If a Test Manager is required in this capacity, it's a sign of dysfunction within the agile team. I think the agile test manager operates at a programme level, with a view across many streams of work. To those test managers who don't find this appealing, as a tester involved in an agile delivery team you operate with a higher degree of autonomy and freedom than in a traditional environment. You have ownership of test strategy and planning, are accountable for your own progress, and responsible for accurately reporting to your team. There is also an opportunity for test leadership, though not at the expense of hands-on testing. In a cross-skilled team, the agile tester must ensure that the quality of testing is good regardless of who in the team is completing it. 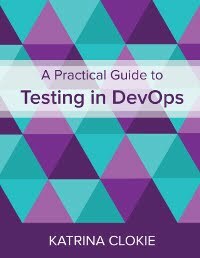 The tester becomes the spokesperson for collaborative testing practices, and provides coaching via peer reviews or workshops to those without a testing background. So true - I'm still evolving my role, but yeah, the day-to-day C&C stuff really belongs with empowering the team you having inside the agile project, and realising you're outside of that. An important part of my role is really as you say in the program of work, looking at new pieces or work, and almost acting like a consultant when needed. But without doubt to me, the most vital piece of work I have is really trying to catch up with each member of staff, looking at their development, helping to coach and develop them etc. Good piece. I found this in my transition - when I joined as a tester and we moved to agile I became the test manager - but soon realised that there is no role for a test manager in a rapid agile environment. My role is now Engineering Manager and I manage devs, testers, scrum masters and tech authors. I'm still a test expert and champion for testing for sure, but the role is no longer there. The testers are part of a team now and that team is a feature team, not just a silo test team. That's largely the story of my roles. I've been a test manager / lead for about 8 years now, always in Agile businesses (to some degree or another). I've often found myself brought in to fix test teams who don't really know how to work in the Agile world, and Developers who don't know how to help them. So, essentially, reflecting the vast majority of your 1-5 above! I've also found myself spending a lot of time in a release / project management esq role. Making sure team's don't fall over each other, and that everyone is talking to the right people. And working with the business at very early stages in projects. Something which I feel fits reasonably well with my Test Manger skill sets. Hello Bert, Just curious to know as I am in unfamiliar territory now as QA manager. Most of the project related / release related planning is done by Delivery managers, scrum master manages the team , so for me other than specify tools for testing or techniques for testing. Most of the time its maintaining status quo or help testers in the team. As a QA manager , do you attend scrum of scrums or plan for post release ? It's nice explanation for the situation which Test Managers faces within Agile. I was also feeling same with my Role when we moved to Agile. Test managers tend to be quite nervous about agile. As the focus of a testing team switches to collaboration on products and projects, rather than testing being an isolated phase or service, it may feel like the need for a test manager disappears. I think there is a place for Test Managers in agile, but that their responsibilities and scope may look quite different to in a waterfall environment. Because testers should be communicating their progress directly within their project teams, providing their estimates as part of an agile methodology and using just-in-time test planning, there is no need for a test manager who acts as an intermediary or overseer at a project level. Wow. Looks like they pinched some of my post verbatim. Thanks for letting me know, I'll get in contact with them. Good post Katrina. Really useful start for me to understand the new QA lead role I'm picking up across multiple scrums. Hi, nice post about the agile transition in QA. But if i'm working with ISTQB standards, what's about my IEEE829 documentation and QA key values which have to be still reported. Who will be responsible, the agile team?